Happy Mothers Day. 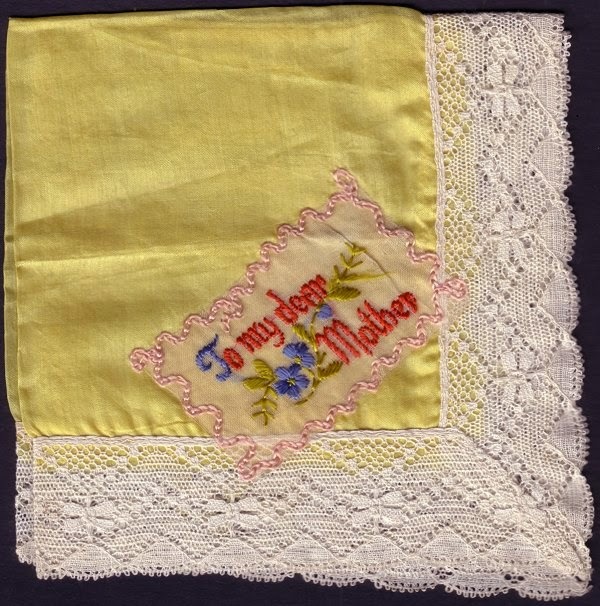 Here are a selection of vintage and antique Mother's Day handkerchiefs. This yellow silk handkerchief has a white lace edge. A white silk chiffon rectangle have been hand embroidered with the words "To my dear Mother". The silk rectangle was then appliquéd to the handkerchief. 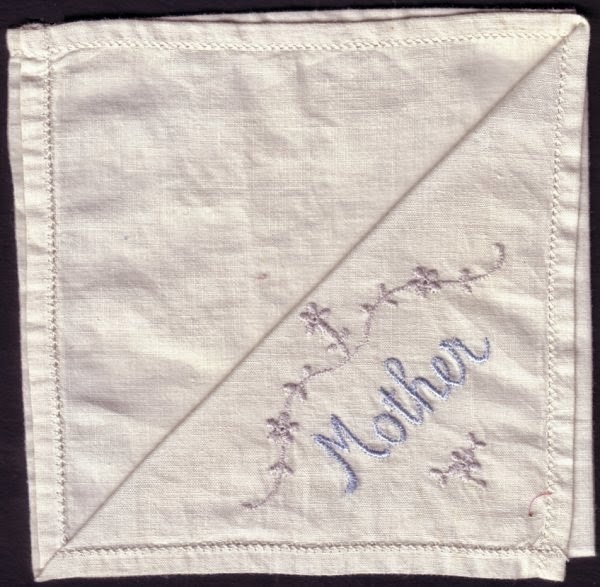 This is a much simpler vintage handkerchief that is all machine embroidered with flowers and the word Mother in a soft blue. This white silk crepe handkerchief is machine edged in a purple silk floss. 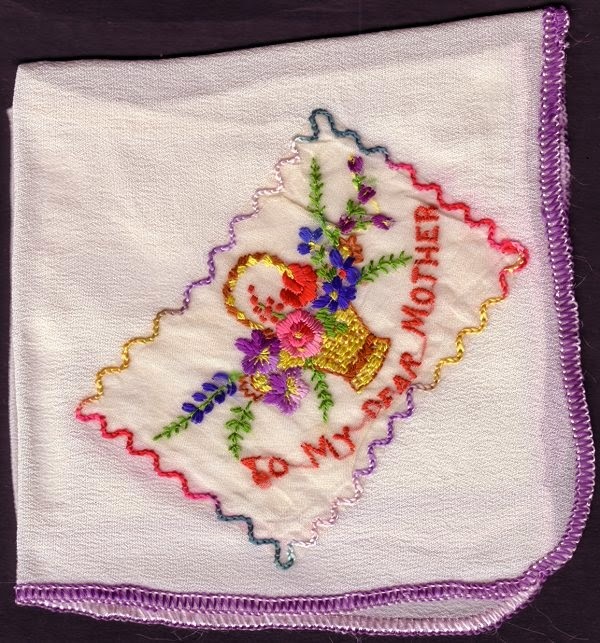 A basket of flowers and the words "To my dear Mother" have been hand embroidered on white silk rectangle. 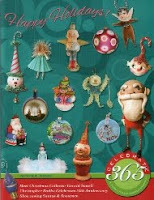 It was then machine appliquéd to the hankie with multi-coloured silk floss. 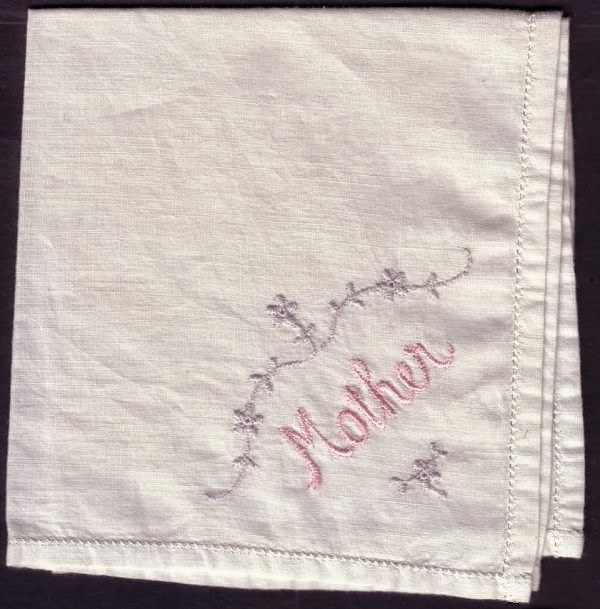 Another example of a vintage handkerchief that is machine embroidered with flowers and the word "Mother" in a soft pink. 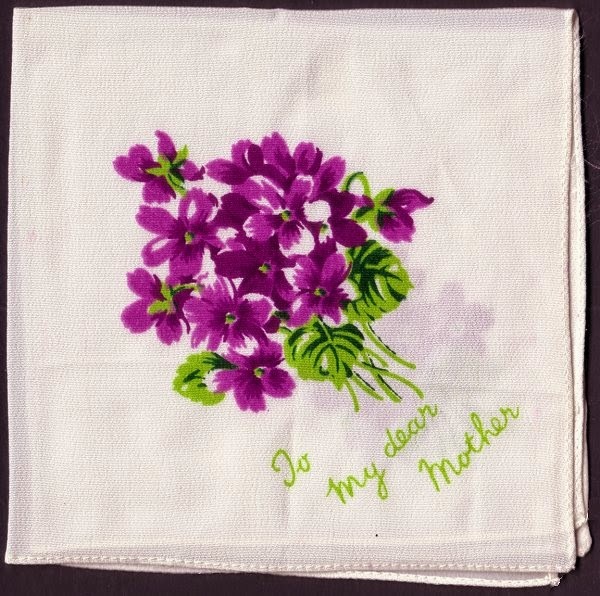 This final silk handkerchief has been commercially printed with purple violets, green leaves, and the words "To my dear Mother" in green. I hope you have a wonderful relaxing day, if even for a short moment!